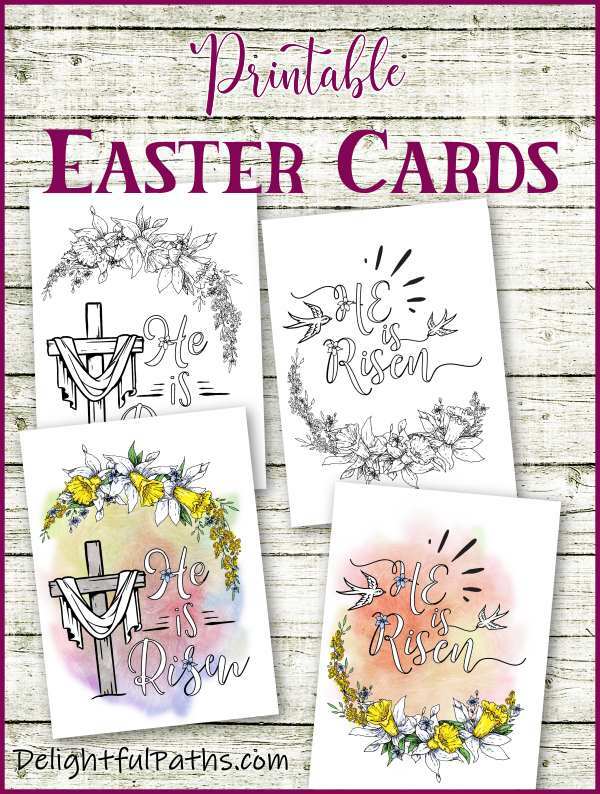 Both cards contain part of a Bible verse: “He is risen” (Matthew 28:6 and Mark 16:6). One card has the picture of a cross. The cross is empty, apart from a burial shroud draped over it. 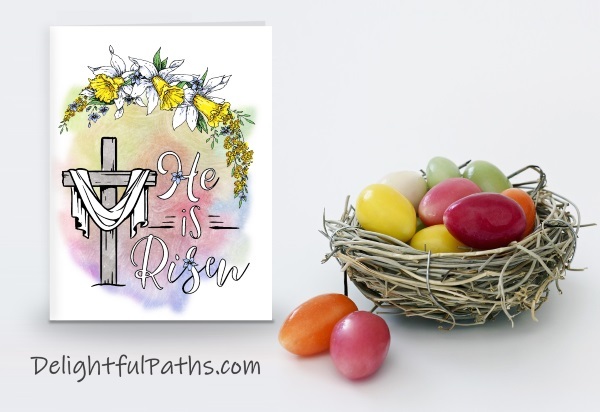 This reminds us that Jesus is alive – death could not hold him! 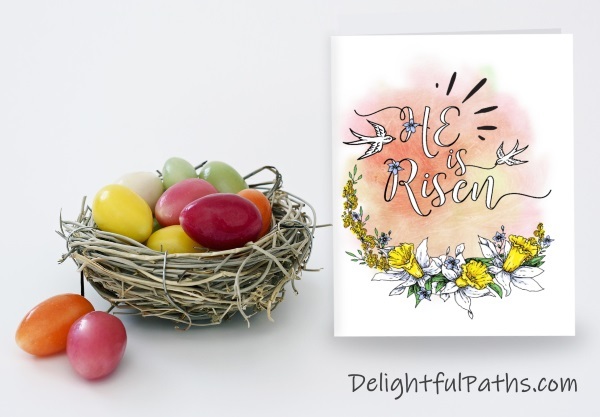 The other has the same pretty spring floral frame, but this time with two birds swooping for joy in the sky at the news that He has risen! Download and print out the version you want – either the pre-colored version or the one to color. You get the two cards on one page. Cut along the horizontal lines. Then fold each card in half. Each card will say Happy Easter on the back. If you are using the coloring version, color the pictures. Alternatively, you could print the black and white template on colored card or kraft paper for something a little different. Subscribe (free!) 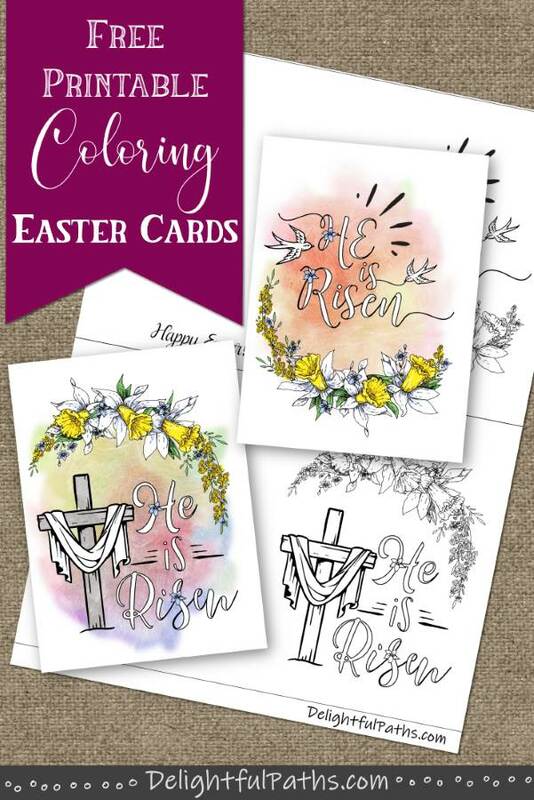 to get access to these four cards (as well as my whole resource library with all my coloring crafts and printables!) Once subscribed, I will send you a semi-regular newsletter with details about my new free files, occasional offers, and other things you may be interested in. 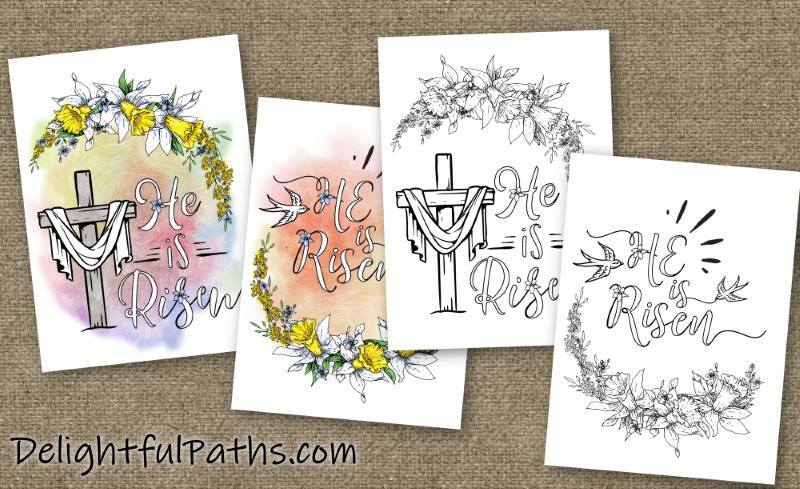 Also check out these printable Easter bookmarks and this Easter coloring page. Beautiful cards with beautiful colors. Thank you!